Many people within the world today experience the repercussions of bad credit and the numbers show no signs of slowing down. Bad credit does not just target the lazy person, and it holds no discrimination as to whom it will target and it will not. Even those that are hard workers and have good intentions often find themselves in a bad situation. This situation often leads to credit in ruins. There are ways you can avoid this, and the best way is to know the warning signs of bad credit and know what situations often occur that can lead to a destroyed credit report. Those without medical insurance, often commonly fall into financial debt; this is a good sign to those of you that are looking for the sighs that you could be headed directly into the path of financial issues. The numbers show that a great number of people end up with less than perfect credit because of large outstanding bills due to medical issues. Healthcare costs continue to rise on a regular basis, and if you were to become injured or sick, this could throw you into a spiral of debt that is extremely hard to come out of. If you currently are without any type of medical insurance, you should seriously consider getting it now. Another sign that your credit situation is heading towards the bad is maxing out the credit cards you have. These are the main factor any many people?s life of bad credit. Most credit cards carry high rates of interest that are combined with defaults or late fees if they are not correctly used. The best way to keep yourself out of this situation is not to spend more than you earn. 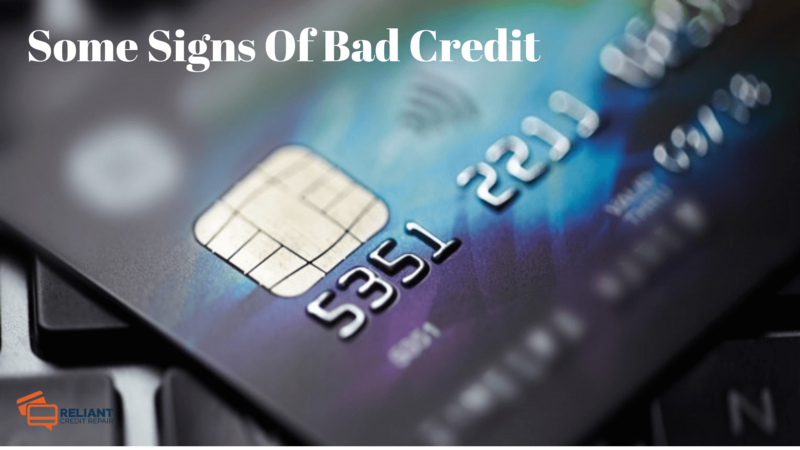 Additionally, if you do use the credit card, make sure you can if you are maxing out your credit cards; this is another sign you are headed towards bad credit. It is important that you maintain one credit card for emergency purposes only. By eliminating the other credit cards, you could help keep yourself out of financial ruin. Credit cards can be a great help if they are used wisely. Other indications your credit is heading towards the wrong side is using too much of your home?s equity to pay off different types of expenses, and not saving money on a regular basis. If you know the signs, you may be able to avoid having bad credit in the near future.